1. Force any excess air out of the backpack. 2. Close the main zip at the top of the backpack. 3. Roll the top of the backpack down four times. 4. Connect the buckles at the top, or to the side compression straps. 1. Remove the lock from the side pocket. 2. Pull the zip closed and place the zip loop over the buckle. 3. Connect the top buckles and pull the two ends together. 4. Use the lock to secure the D-rings and Zipper puller together. not use the product and contact us. Do not use the backpack as a flotation device. 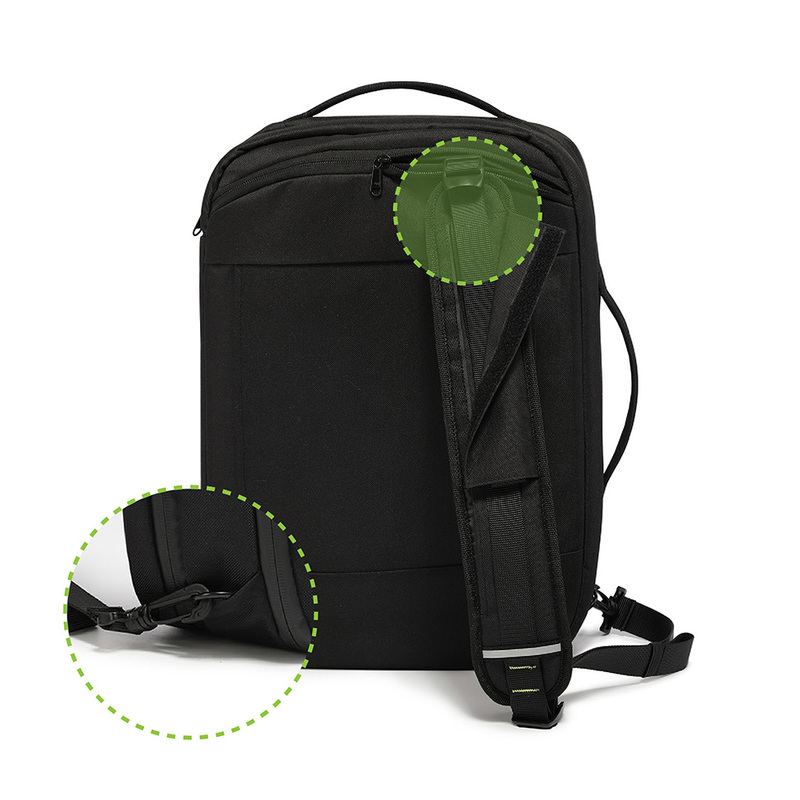 Ensure the backpack is closed before exposing to water/moisture. Leave the backpack unattended at your own risk. stolen while using the Code 10 Backpack. dry, dark place when not in use. water. Shake the backpack, pour out the water and leave to air-dry. To download a PDF version of these instructions, please click here. The combo lock is located in a small pocket underneath one of the side buckles. To set the lock code, please check the instructions on the “Combo Lock” tab above. When using the magnetic buckle, be careful not to use excessive force. water and leave to air-dry. 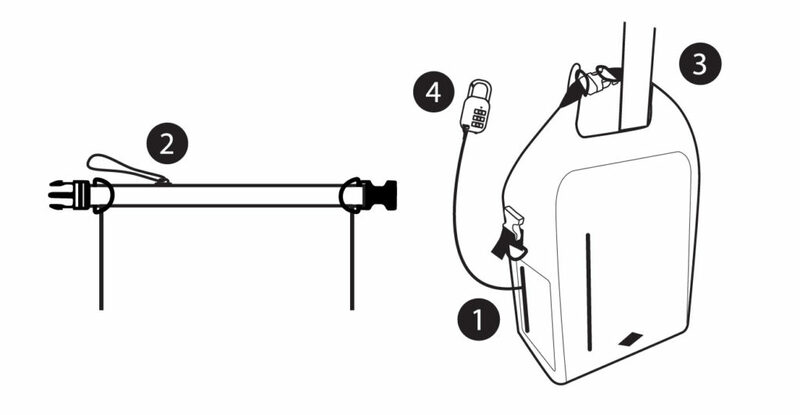 The combo lock is located in a small pocket underneath the back of the hood. To set the lock code, please check the instructions on the “Combo Lock” tab above. 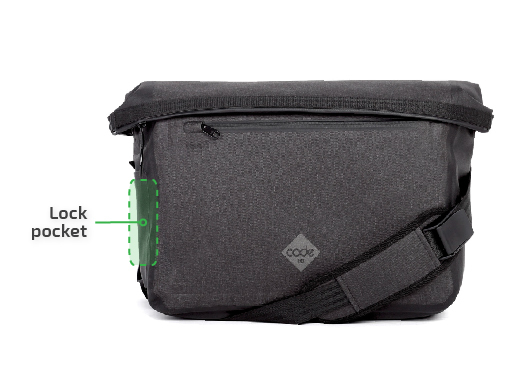 The combo lock is located in a small pocket underneath one of the side straps. To set the lock code, please check the instructions on the “Combo Lock” tab above. 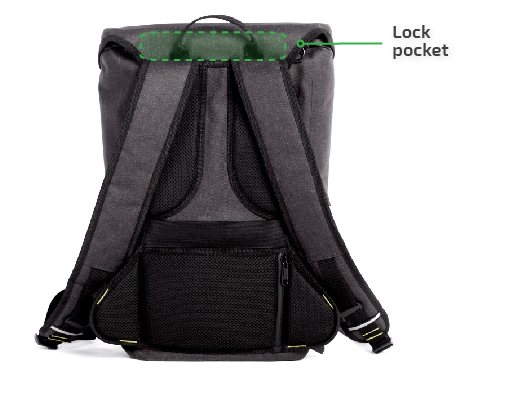 The combo lock is located in the back side pocket. To set the lock code, please check the instructions on the “Combo Lock” tab above. Release the buckle on the right-side shoulder strap. You can stash the unused strap into the back pocket. Increase the length of the other strap, by releasing the extra strap length hidden behind a flap. Although the Commuter is designed to be cut resistant, cutting / slashing the fabric may ruin the appearance of the fabric and is not recommended. Ensure the Commuter is closed before exposing to water/moisture. Leave th eCommuter unattended at your own risk. stolen while using the Commuter. Open the flaps on each each side of the Sling. 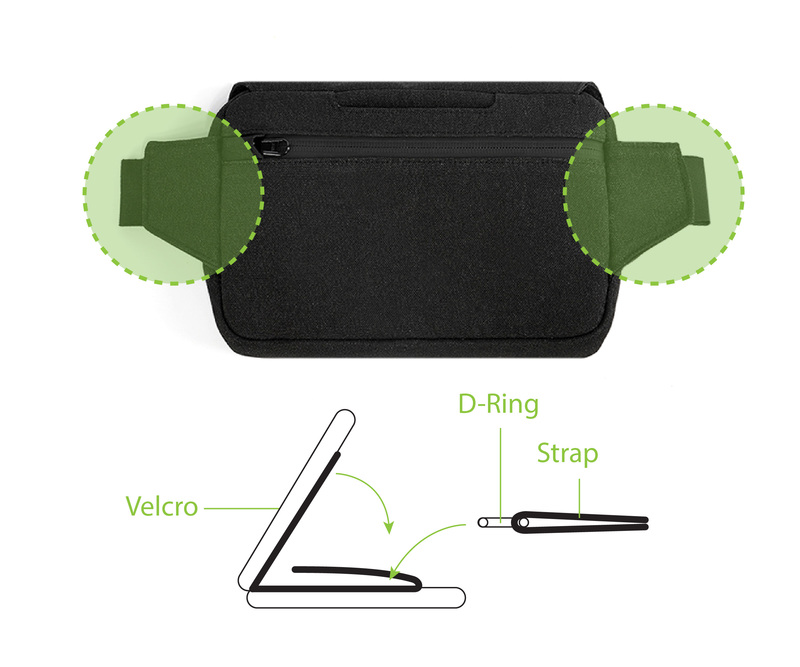 Open the velcro and attach the D-Ring from the strap. Close the flaps and repeat on the other side. For small adjustments use the dedicated length adjustment buckle. For longer adjustments pull or release the loose end of the strap. 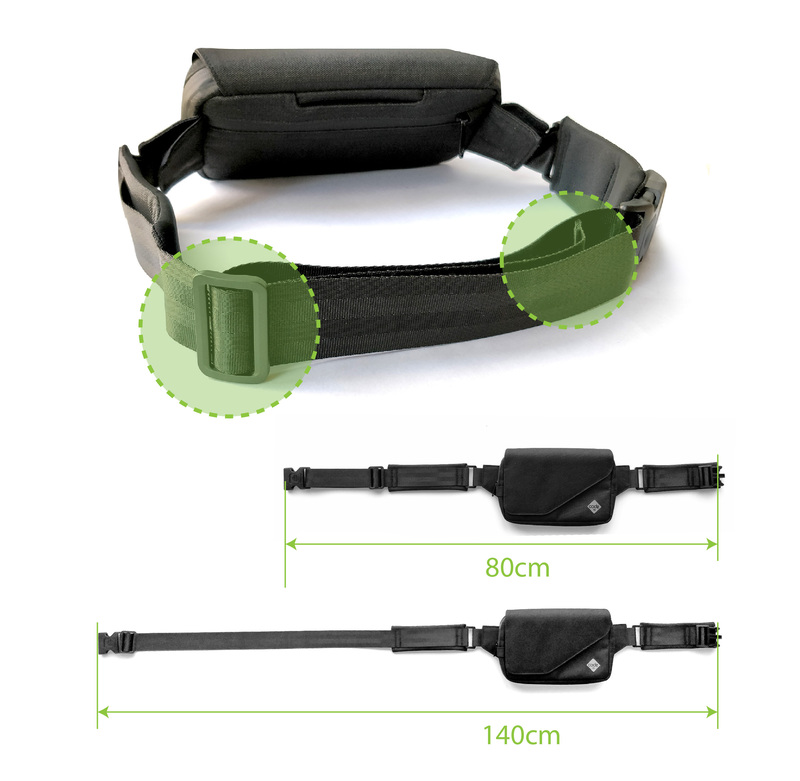 The strap length can be adjusted from 80cm to 140cm. Although the sling is designed to be cut resistant, cutting / slashing the fabric may ruin the appearance of the fabric and is not recommended. Ensure the Sling is closed before exposing to water/moisture. Leave the Sling unattended at your own risk. stolen while using the Sling. 2. Push the locking lever fully in. 3. Keeping the locking lever pushed in, turn the dials to your desired number. 5. Your password is ready. 4. If you’ve purchased a genuine Code 10 product, your product will be logged in your Code 10 account. 2. 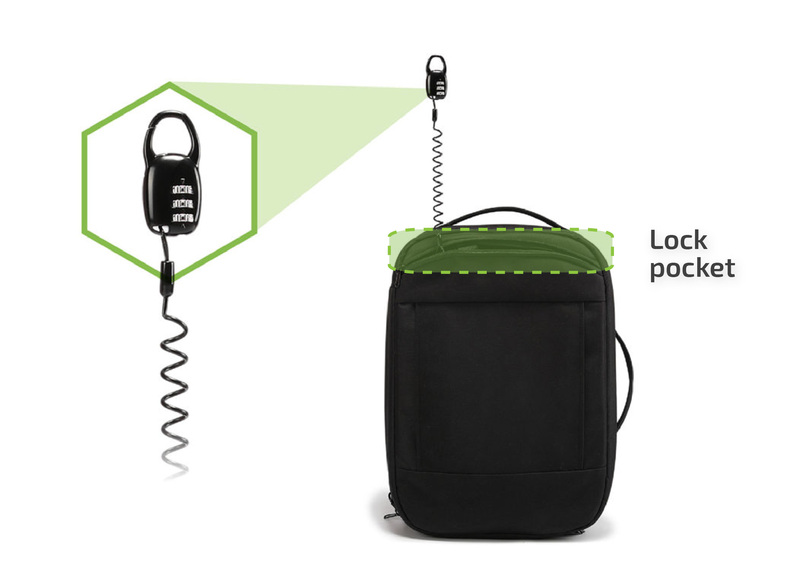 They can enter their email address, the unique code on the tag and a quick message explaining where they found your backpack.